Tibbalds CampbellReith was appointed by Gloucester City Homes to lead the development of a new vision and masterplans to transform the Matson and Podsmead Estates. The Matson and Podsmead Estates in Gloucester are failing. They provide over 1,500 homes, but many of these – especially the flats – are no longer fit for purpose, and cannot viably be brought up to standard. The estates are isolated from the wider city, with poor connections for pedestrians, cyclists and public transport users. Open spaces are unloved and underused. The sense of community is weak. 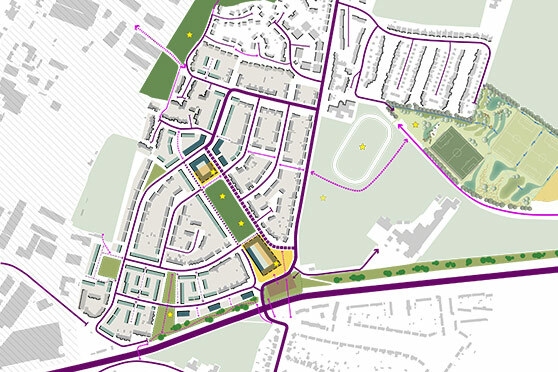 close liaison with planning officers at Gloucester City Council to ensure that the SPD not only reflects GCH’s and the local communities’ aspirations for the estates, but that it also acts as a robust planning tool.